Syria’s ambassador to the United Nations said on Tuesday that if Israel does not stop attacking military sites in his country, Syria would target Ben-Gurion International Airport. 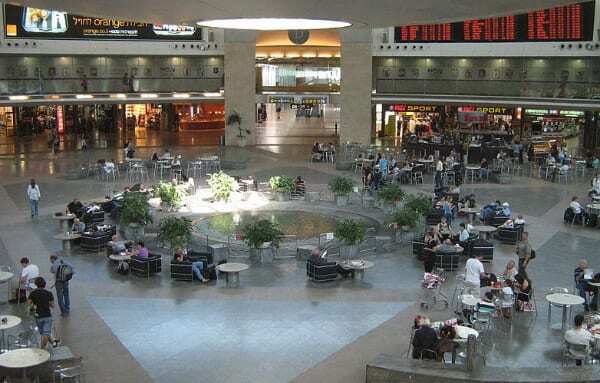 Ben-Gurion International Airport Terminal 3. Credit: Manuel Schneider/Wikimedia Commons. “Syria would practice its legitimate right of self-defence and respond to the Israeli aggression on Damascus International Airport in the same way on Tel Aviv airport,” warned Bashar Jaafari at the U.N. Security Council on Tuesday. The comments came after Israel officially acknowledged air-bombing several Iranian military targets in Syria, including one just outside the Damascus International Airport that caused significant damage. At least 21 people were killed in the operation, primarily Iranian and Syrian military operatives. The Israeli airstrike came after a medium-range missile was launched from Syrian soil over the Hermon mountains and into the airspace above the Golan Heights before being neutralized by the Iron Dome missile-defence system. Jaafari called on the United Nations “to stop the Israeli repeated aggressions on the Syrian Arab republic territories,” and said Israel would be unable to attack Syria without the support of the United States, the United Kingdom and France in the Security Council. Israel should advise Bashar Jaafari that his country would be justified in attacking targets in Israel following unprovoked rocket attacks on Syria by Israel. Bashar Jaafari can avoid future retribution by preventing Iranian forces using Syrian territory to launch wonton aggression against Israel.